Every once and awhile I like to bring out materials that have sat a little lonely on the shelf. It’s inevitable that the children quickly take over and remember all the different ways they can build and begin sorting the stair and the tower from largest to smallest. I’ll remind them of centering and edging, which Joey quickly remembered and took over, and occasionally say, “What do you think about…” or “What if we did…” and see where it takes us. The Pink Tower is a series of 10 cubes with the largest cube 10cm x 10cm and the smallest base of 1cm, with each cube increasing by a centimeter. The tower is built starting with the largest cube to the smallest. 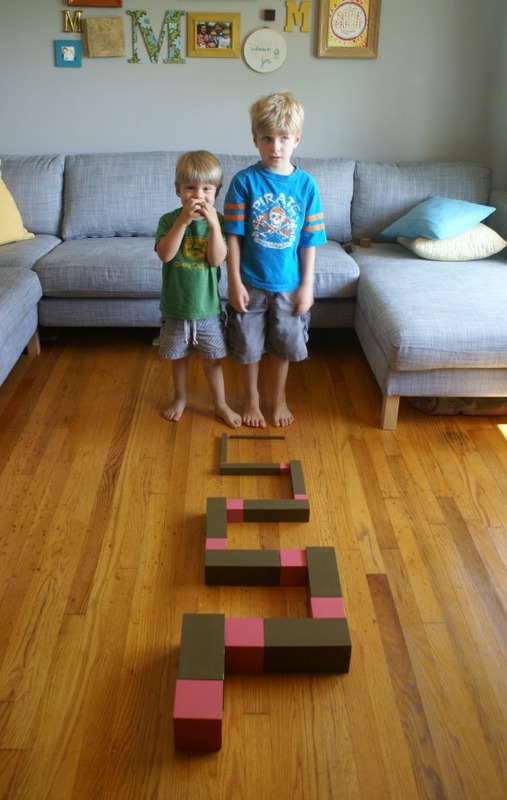 The Brown Stair is made up of 10 rectangular prisms measuring 20cm in length, with the largest 10cm on the side diminishing to 1cm to the smallest stair. The stair can be built starting with the thinnest or thickest in the order of gradation. Joey wanted to be the only one in the picture. Oh, brotherly love! The Tower was always a favorite in the classroom. It’s no wonder! 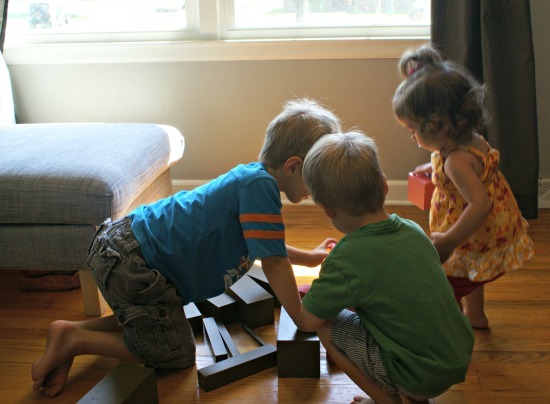 The children stack the alternating cube and prism until they can no longer reach while maintaining balance on their feet, then use a stool until the tower is out a reach. The teacher would step in as the children hand her the cube and prism. It’s always fun to see how tall you can build it and it still balance. 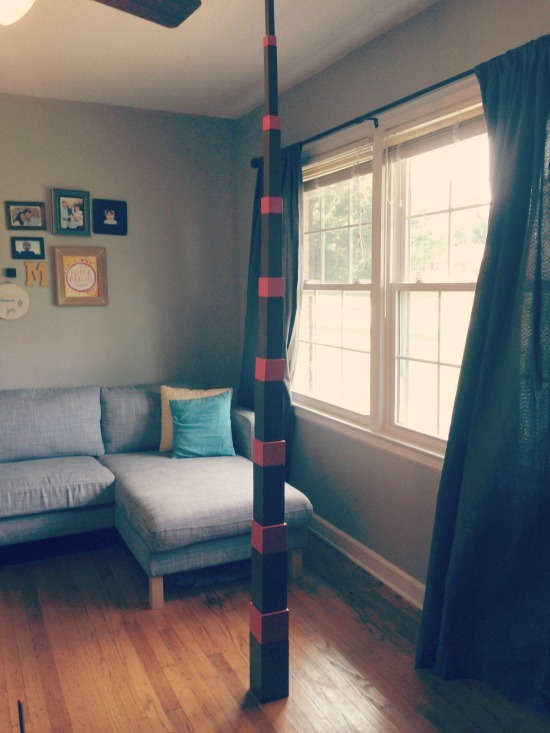 At home, we couldn’t finish the tower because our ceiling was too low and, thankfully, it didn’t fall. It’s an exercise in balance, control, and patience. 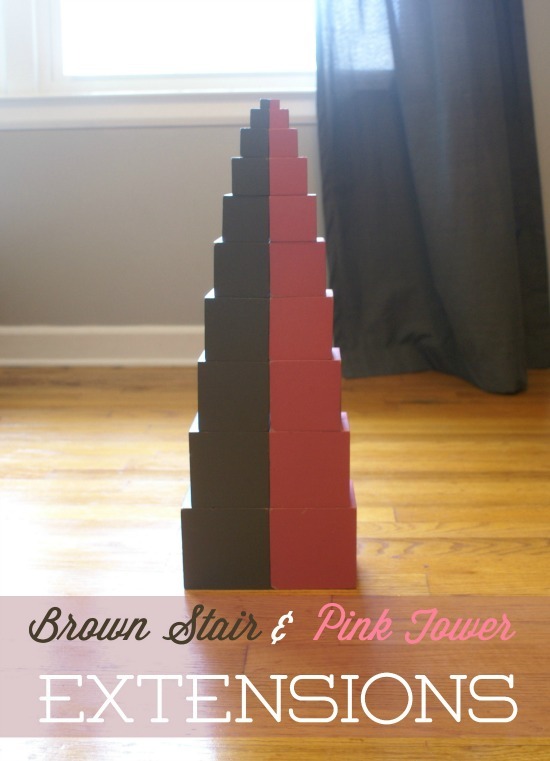 For awhile now I’ve wanted to make a flip book of Brown Stair & Pink Tower extension cards. 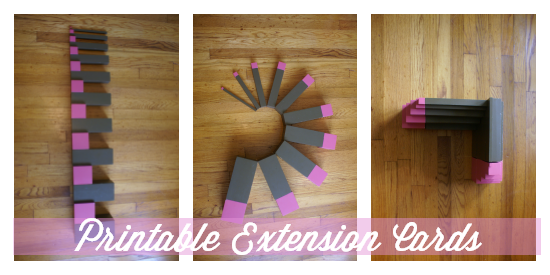 I finally did with 19 different extensions and you can get it as a free printable! Of course, there’s more extensions to add and dream up! Linking up with Montessori Monday at Living Montessori Now. Thank you so much for these extension cards! They’re lovely, I’m sure my class will get a lot of use out of them. Wow! Thank you so much! This is just what my classroom needed.